In honor of National Adopt-A-Cat Month, Operation Kindness -- the oldest and largest no-kill shelter in North Texas -- is offering $25 off cat and kitten adoptions throughout the month of June. "We hope more of our temporary residents will find forever homes during June, which is National Adopt-A-Cat Month. There are so many great animals here that are waiting," says Julie Goff, development manager of Operation Kindness. 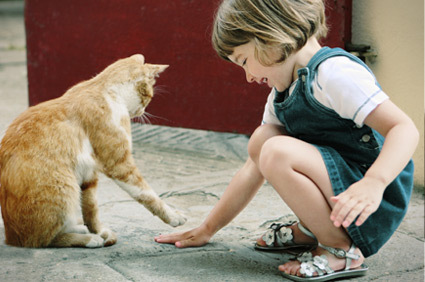 The American Humane Association began promoting Adopt-A-Cat Month in 1975 to highlight overcrowding issues in shelters. 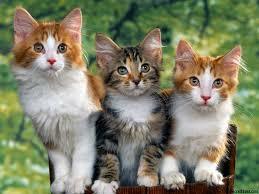 The association estimates that roughly four million cats and kittens end up in shelters every year. "As a no-kill shelter, it's extremely important for us to continue finding forever homes for all of our animals. Among other things, it frees up space, allowing us to keep rescuing more dogs and cats," adds Marshall. On average, Operation Kindness adopts out 1,000 cats per year. Currently, it has roughly 70 adult cats and 35 kittens ready for adoption. Founded in 1976, Operation Kindness is the oldest and largest no-kill shelter in North Texas. Its mission is to care for homeless cats and dogs in a no-kill environment until each is adopted into a responsible home and to advocate humane values and behavior. On a daily basis, Operation Kindness cares for an average of 300 animals at the shelter, with more than 100 animals in foster homes. Operation Kindness has saved more than 75,000 animals since its inception, and it assists more than 3,000 dogs and cats each year. Learn more about Operation Kindness by calling 972-418-PAWS or by visiting http://www.operationkindness.org.